Inbound sales are sales that come to you. A potential client/customer saw you or your company on Facebook, stumbled upon a valuable piece of content, or saw you mentioned in a credible publication. They investigate further, realize they could benefit from your services and reach out. This is a nice, warm lead that turns into a client rather quickly. This is an inbound sale. Outbound sales are sales that you went out and won. You reached out (probably more than once), spoke with a lead over the phone, and finally achieved the sale. You must educate the client on how your solution fits their needs. This is often a cold call that turns into a client over several weeks or months. This is an outbound sale. While inbound sales are newer and shinier than their counterpart, both need to work together to achieve maximum sales. And while there is a multitude of resources on the latest inbound marketing trends, often time outbound is ignored, as “marketing ninjas” cite that these old schools tactics haven’t changed in the past decade. Well, of course, we want to prove that wrong and give you some new ways to develop your outbound sales strategies for better conversions. You use these avenues every day, but are you positive that you’re using them to their fullest potential? If not, you could be missing out on some stellar opportunities. Using technology in these three realms lets your team focus less on prospecting and more on perfecting your sales strategy. Let’s look a little deeper at each. Chances are, you use email every single day in your sales process. While it’s a powerful tool, it’s also often overlooked. The first question to ask yourself about using email for sales is, are you tracking your performance? Email trackers are an easy and extremely effective way to track if your emails are being received, open, and read. 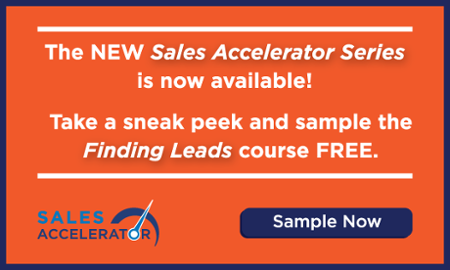 This information provides a strong foundation for tailoring your follow-up, and yet more than three-quarters of sales people report NOT using a tracker! Sales people are still figuring out how to use different platforms, like Twitter, Facebook, LinkedIn— even Snapchat and Instagram—to connect with prospective customers. The fact these platforms often change, sometimes without warning, makes this a particularly tough field to master. Social media affords us an opportunity to get to know our prospects before ever reaching out to them. LinkedIn, for example, can show you what a prospect is interested in, the organizations and individuals he or she follows, and much more. That information can lead to a much more tailored outreach email, and increase your chances of making a personal connection—and thereby getting a returned call! You can also use social media to demonstrate your own activity and interests, because, if you’re looking for prospects, chances are, your prospects are doing a little research of their own. Salespeople still report using the phone, preferring to connect voice-to-voice for certain stretches of the sales process. To transition to more warm calls, pair the power of social media with the effectiveness of calling, in which you use the information available to you to make a more personal connection. It’s a lot less “cold” when you already know that your prospect has several contacts in common and has a need your company could easily fill. The phone isn’t entirely old-fashioned, either. Technology around voicemail, in which you can use a partially pre-recorded message and insert something customized, is evolving, and enables you to leave better messages more quickly. So while inbound sales are getting hotter and hotter, don’t write off your tried and true outbound. The fact is that they’re both important to your whole sales strategy. This post was written by Sean Gordon. Sean is the CEO of Intelliverse, a global leader in sales accelerated enterprise software and managed services. Prior to Intelliverse, Sean was Vice President at West IP Communications for 10 years where he helped turn a $30 million dollar startup company into a $3.5 billion industry leader. He has also held various leadership positions at AT&T, EMC and Nortel Networks Corporation. Editor's Note: This post was originally published on June 15, 2016, and has been updated.